What do we do when God interrupts our lives? Many times, like Jonah, we run! 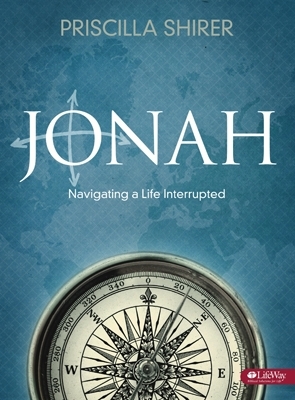 Jonah: Navigating a Life Interrupted – DVD Leader Kit helps a leader facilitate this women’s Bible study experience and contains all that is needed to conduct the small group time. What do we do when God interrupts our lives? Many times, like Jonah, we run! In this 7-session Bible study, Priscilla redefines interruption and shows that interruption is actually God’s invitation to do something beyond our wildest dreams. When Jonah was willing to allow God to interrupt his life, the result was revival in an entire city.